Lyra, Parish, and Octavia have a client, only they can't see who it is. Sirus is a doctor, and Canterlot's perfect serial killer. It's the Halloween season and the spirit of things is making a married couple go all kinds of crazy. It was just a dream, until Dusty found out it wasn't HIS dream. Mad. They call me mad. Fluttershy hosts the local radio show of the dark and mysterious but friendly town of Pony Vale. A human is in Equestria as a Unicorn. Human becomes a film director and one of the most controversial figures in Equestrian entertainment. Somehow winding up in Equestria, Johnny Blaze has to survive as a pony and control the Rider in him. Why does Equestria seem so peaceful? Because it's our job to lock up all the monsters. Behind our walls lie demons, darkness, and all the keys to set them loose. Welcome to the Foundation. Captain Jack Sparrow, almost a living legend. In the aftermath of his venture to the Fountain of Youth, Jack finds himself with one last chance to make a name for himself at the edge of the map. Equestria is in trouble. The fabric of space and time surrounding the world is falling apart, allowing horrible creatures and savages to invade the peaceful world. But a hero has been sent, he is an enigma known as The Wanderer. When Equestria appeared on Earth, they seemed friendly at first. But the nation showed it's true colors when they declared war, calling humans a 'vile' and 'unfit' species. Just as all hope for humanity seems lost, the SCP Foundation takes action. The Daleks have arrived in Ponyville. 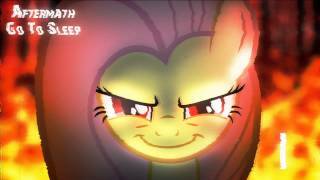 Can the mane six handle this new threat? Welcome to Equestria...where pegasi control the weather, the sun and the moon are moved by the celestial sisters....and where the Sky Army leader and some of his friends are now officially stuck. I hold the power of creation in the palm of my hand, yet these creatures still frighten me. It’s a well known fact that Fluttershy is a weak flyer. The Wonderbolts believe this as well. Rainbow Dash knows better. The SCP Foundation gives you long hours, low pay, a high chance of death, and treasures blacker than our hearts. That is the price of knowledge, Twilight. You may have all our secrets. All we ask for is your soul. Fluttershy and Applejack have to survive the dark underbelly of a super city infested with secrets. Hello and good evening, dear listeners. It is days like these that I am ever grateful to live in our small desert town. The moon is bright and full, the sun is hot and relentless, and the glow cloud that rained dead animals on our small town has finally moved on. I'm terrified of this place. However, I'm more scared of not being terrified of this place. May I ask what font the title is. The "13 Days" disclaimer? I'm staging a project where I release one horror or supernatural story every day for thirteen days. If you are referring to the actual font (I don't know if that was a misspelling or not), I'm not quite sure. I believe it is Arial. It just looks strange because I have a longer title (Which has been reduced since this post). As for the title, Welcome to Night Vale is a podcast which I adopted with MLP elements. It's a very... strange podcast. I've left a link in the description if you are interested. YES! When you said 13 days if horror I expected just your regular gore. But this! THIS IS WHAT IM TALKING ABOUT! I have a total of nine stories fully scripted, yet only one has significant gore, but that one is played for laughs. The Dead Don't Shuffle is more of a black comedy than a gorefic. I don't know, I kinda lost taste for Big Rico's after the big wheat and wheat byproducts thing. It changed my view on who should serve me food. But it's ok, lately I've been eating at Geno's Italian Dining Experience and Grill and Bar! It may be a little pricy but eating in a doorless room without the threat of hooded figures or pyramid promotion stunts really makes it worth the cost! If you can Journey I would suggest to add these stories to appropriate groups for more people to view them, these are too good to simply pass up. I don't know any more! If you know a few, feel free to add them. I've added them to all the groups I know. The princess says they are too sweet and need to be in the oven for another two minutes. This should be in past tense, not present. And now for the weather. All of my love! I am sharing this everywhere. Journeyman, you are amazingly good at what you do, and I hope you never stop. This is like if Lovecraft and King went on an acid trip. In the best of ways. Mind if I do a recording of this? It just fits too well with the original Night Vale recordings to pass up. Go ahead! I'll even link it in the author's notes. Definitely got that "Welcome to Night Vale" subtle eeriness to it. Great fic, Journeyman. 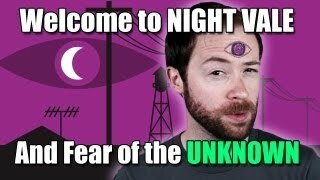 I was actually looking into starting my own short Night Vale crossover series and was surprised to see that there's already a couple. This is fantastic. Oh, this is based on a podcast? All the time I was reading this story I thought it was something more like this. 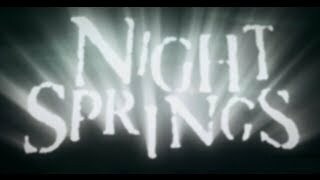 "When you couldn't be more wrong about having all the answers and understanding other peoples' references, you know you're in... Night Springs." That's just the way Night Vale works. It very much seems like there are references being thrown about left and right here, but other than the story being based off of it, I made none whatsoever. The heart of Night Vale's lovecraftian storytelling is making the absurd and terrifying almost mundane and boring. These are just ponies who live in a down with several dark secrets and have just gotten used to them. Now im wondering if this will be as much of a mind trip as the fake tv show. I admit that this does a very good job of emulating the style of "Welcome to Night Vale". However, I think in the process it doesn't do enough to be MLP. It's great as a Night Vale fanfiction though. Sorry, what was I saying? Oh look! An update! Well...might as well get reading! It irked me in the previous chapter and it irked me here so I have to say; the phrase is "vague, yet menacing, government agency". The word from the podcast is "menacing" not "nefarious". Still, a good crossover and a good story, looking forward to more if it comes. I wonder whether or not the reporter guy got to the bunker in time. Also, why has no one else commented on this chapter yet?